Ok, so this is basically a result of crap, what am I going to make for dinner? I had chicken tenderloins in the fridge and no plan in sight and, truth is, we all need a ‘recipe’ that really doesn’t call for a recipe at all. Something we can just throw together thoughtlessly with no fuss that we can remember off of the top of our heads. So here she be. My kids love anything that involves ham and Swiss cheese and we had both in the fridge so I threw it all together and let’s just say I’ll certainly be making this one again. No pounding out the chicken, no cutting slits to stuff it, nada. Just a chicken tenderloin wrapped arpund ham and Swiss in the middle. And baked until the cheese gets gooey and the chicken is cooked to juicy perfection. So stinking basic, but that salty cheesy yummy combo is such a winner. And don’t worry one bit about the cheese oozing out while it’s baking…it will leave you with the most amazing browned-around-the-edges cheese that will surround your rolls. So. Good. 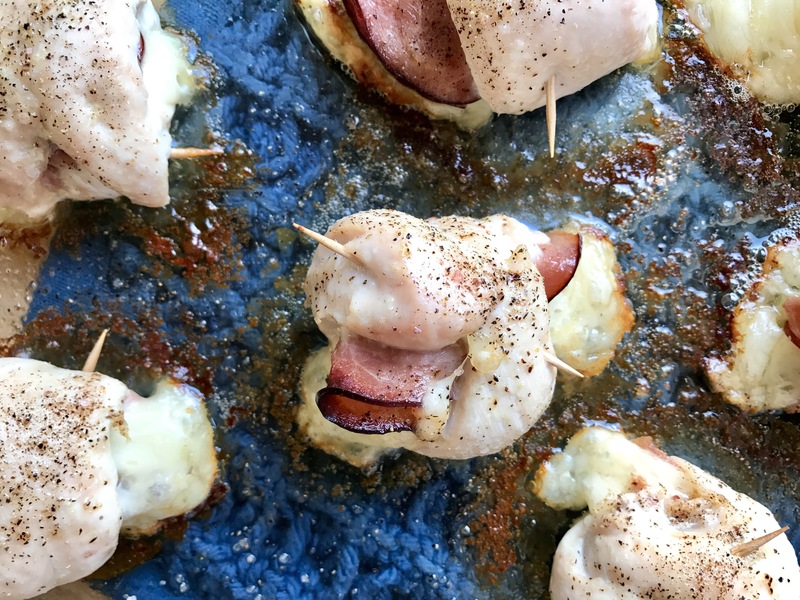 It’s hardly a traditional Chicken Cordon Bleu, but it’s the best darn make-shift there ever was thats just perfect for busy weeknights! Meal plan worthy for this next week, for sure! Preheat oven to 425 and grease a baking dish with butter or olive oil. Lay tenderloins on a work surface and place a bit of ham and a half a piece of Swiss cheese in the middle of the tenderloins. Fold tenderloins over and seal them closed with a toothpick. Place in prepared baking dish and season with salt and pepper. Drizzle a small amount of olive oil over the tops of the rolls and bake for 25-30 minutes or until chicken is just cooked through. 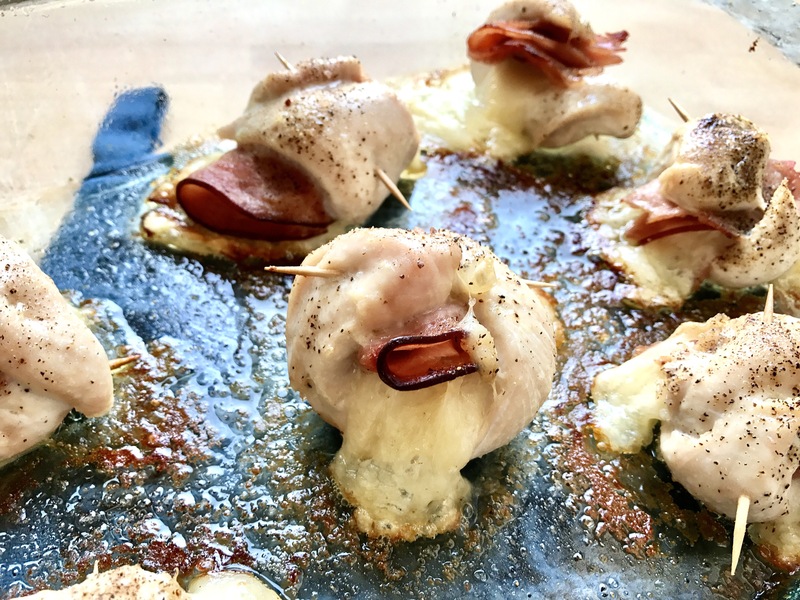 Deliciously simple idea for a low-carb chicken dish. Great idea, these look amazing! I love the browned cheese, oozing cheese is always a plus!